EASY TO FOLLOW STEPS TO GET YOU ON THE CTR. 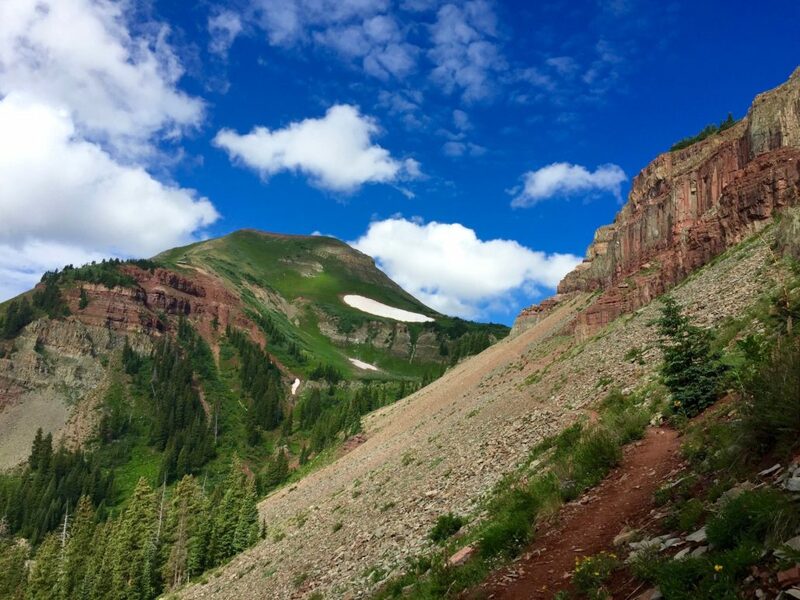 So you’re planning to race/tour the Colorado Trail. In the past, planning a race/tour of the CT was time consuming and complex. The needed information was scattered all over the web. Knowing about planning for long trips, I put together this Colorado Trail Planning Guide to make things easier for you. There are a ton of questions when planning a bikepacking trip. Things like, which gear to bring, how to get to and from the trail, and probably the most asked question is how to resupply. Answers to these and many others can be found throughout this page and at our other CTR focused pages. 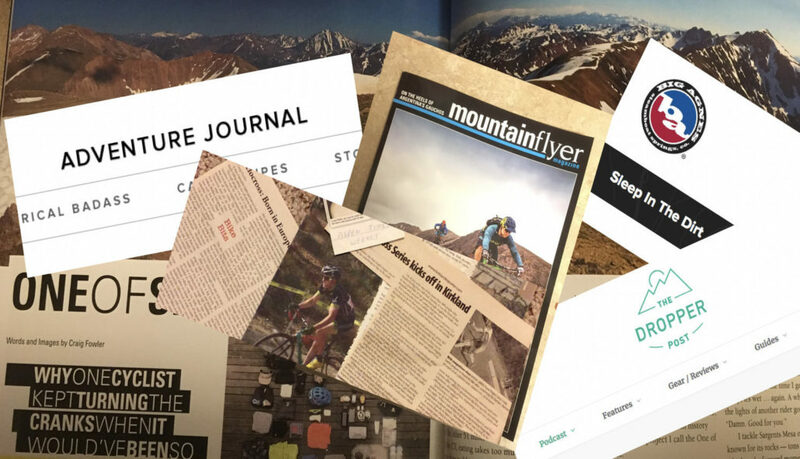 7 Steps is all it takes to plan your own race/tour of the Colorado Trail. Don’t let this stop you from doing your own research to ensure the best odds of completing the CTR. Planning is probably the single biggest thing that can effect the outcome of your Colorado Trail Race/Tour. More information means more options, equaling a better chance at success. Knowing things like where the route is or where to supply are key. The bottom line is, “DO YOUR HOMEWORK!”. 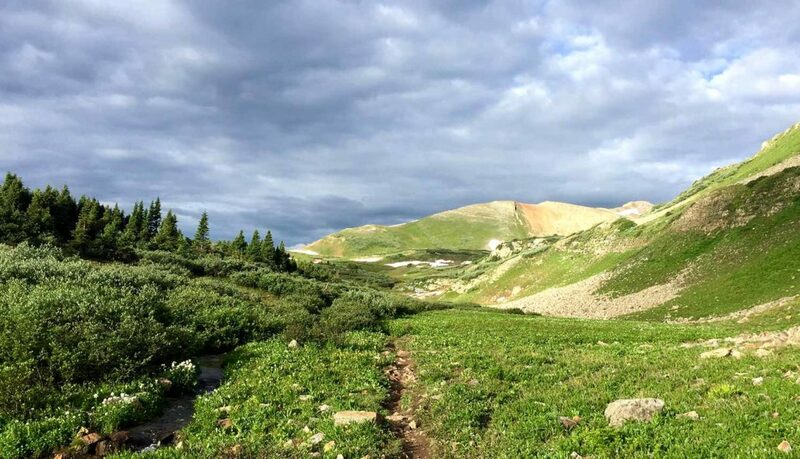 Read on to plan your own race/tour fo the CTR with this Colorado Trail Planning Guide. Race along side others with the same goal (Though no guarantee you’ll race with each other). Test your abilities against like minded individuals. Share an experience with fellow racers. Start time and direction is up to you. No unwanted pressure from the race clock. Ability to enjoy side/alternate routes and tour at your own pace. Choice over start time or direction, not in your control. No flexibility in regards to the route. Chance of meeting others is less. The race is on July 28, 2019 at 4am in Durango, CO at Velorution Cycles. Racing is not for everyone. The best time to ensure a successful trip is to consider a date between July and September. Unfortunately this window is also monsoon season, so be ready to get over high passes and be down to lower elevations by earlier afternoon. Snow still lingers in early July on the higher passes and north facing slopes. The best month to probably tour would be August. In September snow and cold temperatures become an issue once again. STEP 3: WHICH DIRECTION TO GO? Before 2015 the Colorado Trail Race always travelled North to South. In 2015 it was decided that on odd years the race would be raced South to North. Even years are raced North to South. 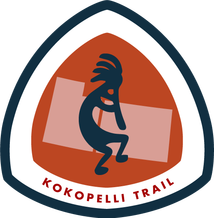 Trail starts at a lower elevation. Travel and parking are better. Physically easier start to the trail. Travel back from Durango is harder and more expensive. Physically more demanding as you travel south. Physically it gets easier as you head north. Travel to Durango more difficult, time consuming and expense. Picking gear for a trip is always fun and a chance to buy new toys! The key to bikepacking gear is to keep it light. You really want to trim down what you carry. Of course if your touring then your gear list is going to be longer with more comfort built in. You can find a list of what I carried during my Colorado Trail Race on my gear page. Try to carry items that serve multiple purposes, thus saving weight and space. The most important part of the gear selection process is, once you’re done, TEST TEST TEST. You’re not going to nail the perfect set up the first time. Get out and test different pieces of gear. Rearrange where you pack items (both on the bike and either on you or the bike). Find the best option and keep improving it. 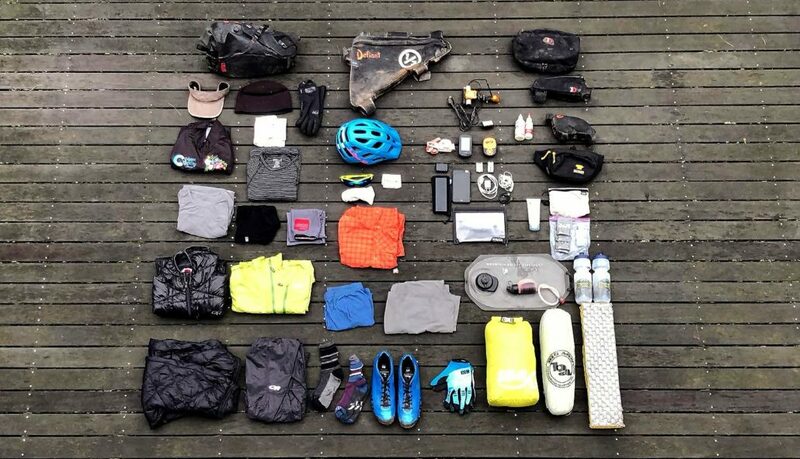 The basics most racers carry are: GPS, lights, rain gear, tent/bivy/tarp, sleeping bag, pad, puffy, tools, tubes/spare parts, something to carry extra water, and first aid. Some other extras one might carry are: filter, stove, camp clothes, MP3 player, and spare socks or gloves. As mentioned, if you’re touring then you can bring a little more comfort. Don’t go over board just because you’re not racing. You still have to cover the same ground as the racers, so less is still best. Those touring should definitely consider bringing a stove. Most distances between resupply options aren’t that far for those racing but they are too far for those going at a slower pace. The Colorado Trail Race is extremely physically and mentally demanding. Even the most seasoned veterans are challenged by the CTR. I strongly believe mental toughness is more important than physical strength when talking about bikepacking. Don’t get me wrong you need to be in good shape to race the Colorado Trail Race but if you’re not mentally ready, you’ll probably not finish. The Colorado Trail Race has a ton of H.A.B, so one needs to be proficient at pushing, carrying or lifting their bike. Consider how much weight you want on your bike verse on your back. A lighter bike is easier to push but means more weight on you. If you plan on doing any strength training don’t neglect your upper body. My arms were more tired than my legs most days. Lunges, boxes jumps, squats, and other lower body exercising are great. Workout your core to ensure you don’t experience lower back pain and work those arms. Mental training is hard to do. One way to do it is to go on longer and longer rides so you can experience what your mind does as it and your body get more fatigued. It can be hard to objectively evaluate yourself but work at it and really know your strengths and more importantly, your weakness. It’s your weaknesses that will cause you to not finish. I always found it hard to keep going once it got dark. Practice riding at night. Write down why your doing it, REMINDERS. Be realistic with your goals, don’t over shoot your physically ability. While on the trail don’t get caught up too much when it comes to crunching the numbers. Things change daily, hourly or by the minute. If you’re racing you still want to have a general plan of where you want to be and how long it should take you to get there. Think about creating a chart/PDF that shows the resupply spots along the route, with mileages, hours of operation, distances between them, and then include when you should be at each for the given amount of days you hope to finish in. You may want to put the data for a range of days as the chances are pretty good you may be faster or slower depending on that year’s conditions (or your own conditioning). Put this information in your phone so you have easy access to it. Here is mine from my 2017 CTR CTR Cheat Sheet. Just like with racing, it’s a good idea to have a loose plan of where and when you want to be at certain locations. Knowing where your resupply options are, distances between food or water options, are things to consider when planning your trip. Note any particular locations along the route that you definitely want to stop at or any side trips you might want to do. Don’t forget to plan for travel time to and from the trailhead. If your touring consider planning in a Zero Day. As I pointed out in the gear section, no one figures out their set up the first go around. Make a point to go out and test not only your gear but yourself. Whether your racing or touring the benefits of doing one or many dry runs is immeasurable. 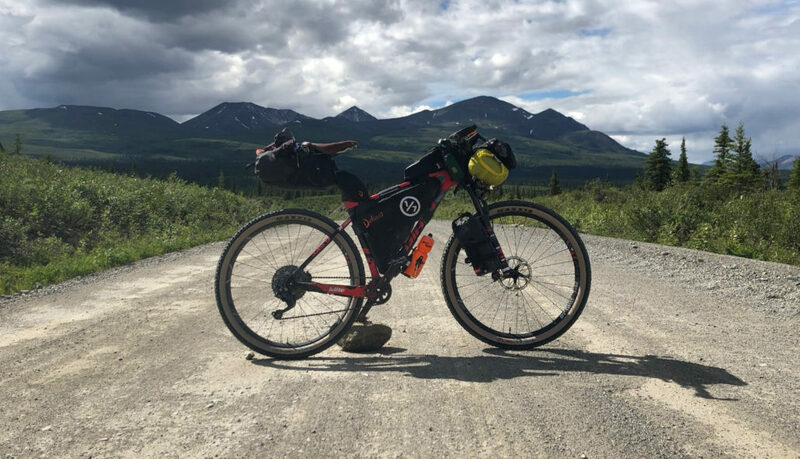 If you look at my three set ups from my Bikepacking Triple Crown you can see how things change and progressed. You’ll learn new and better ways to pack your bike. Find out what gear works and doesn’t. Eliminate gear not being used. Gain confidence in yourself and gear choices. Test battery life of electronic devices. 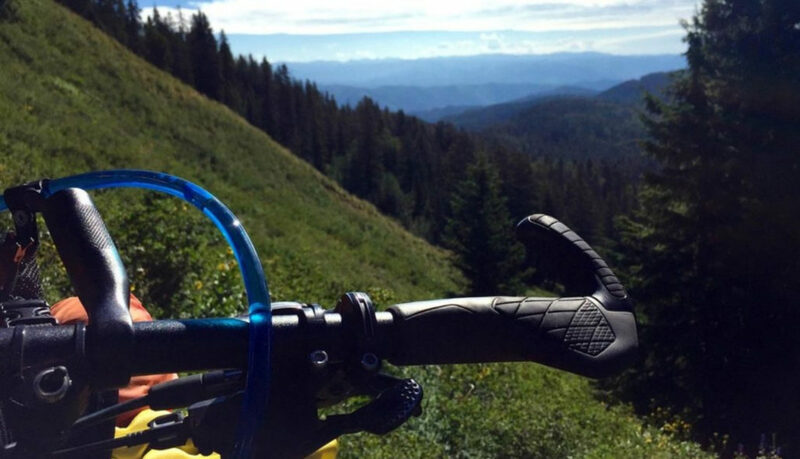 Determine which items should go in your hydration pack vs. on your bike. 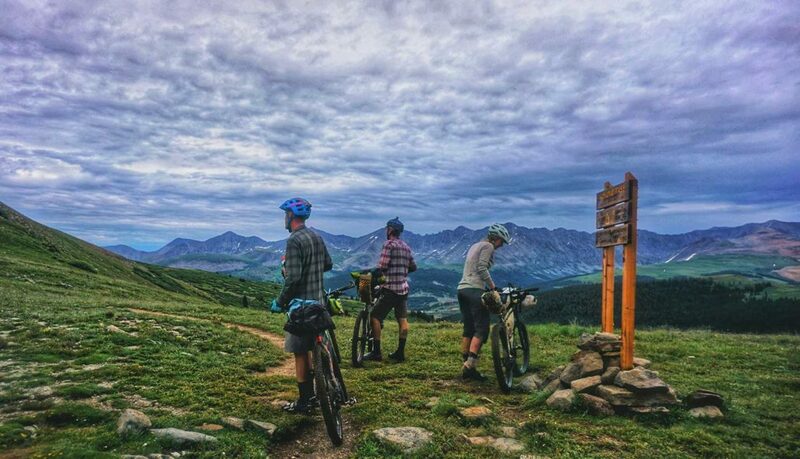 The Colorado Trail Foundation are the acting stewards of the trail and help manage/maintain it. Because of them and their members you have this amazing trail to ride. Please consider donating or joining a work crew, so they may continue their amazing work. Your chances only get better with more information. Get the right resupply information with this CTR Resupply Guide. Traveling to and from the CTR is an adventure of it’s own. Find out how to simplify it with our Transportation Guide. A collection of posts about the Colorado Trail and personal dispatches from my time on the CT and beyond. Full comparison of my gear list from the bikepacking triple crown. Pros/Cons, tips, and what I would do next time. Have questions about the gear you think you need to go bikepacking? Checkout my three set ups and get advice on putting your own together. Our Press Releases and coverage of the Project spans from news sources to online blogs and print magazines.